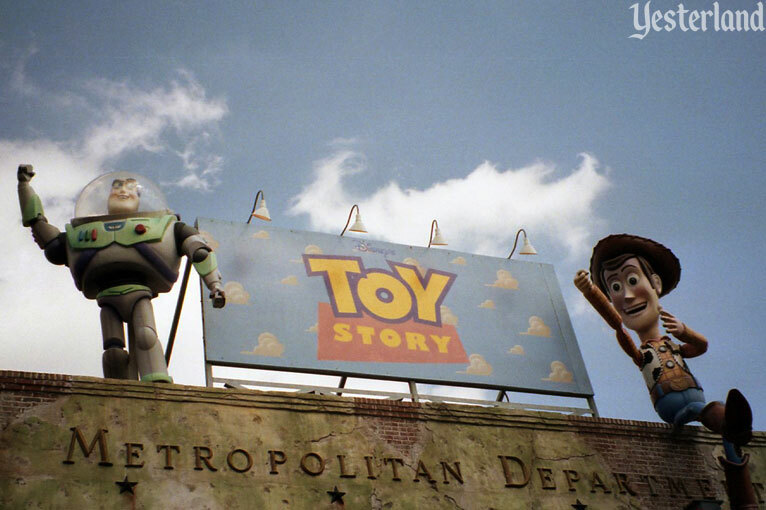 Do you remember Pizza Planet in the movie Toy Story? 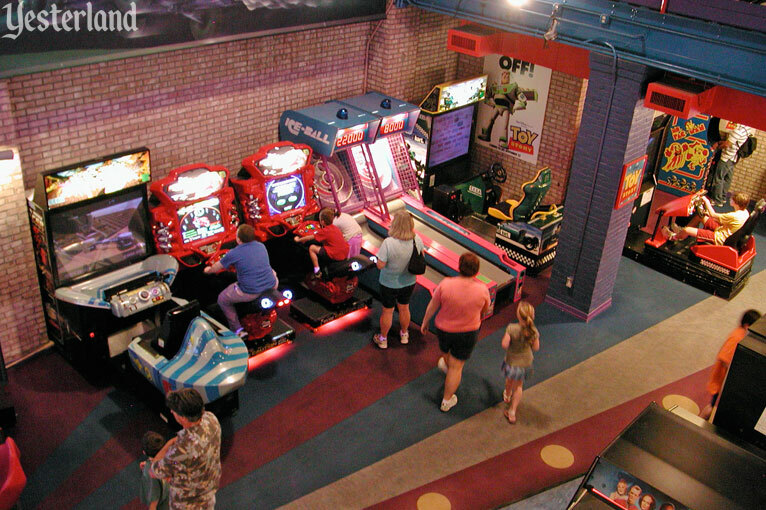 It’s the “space age” arcade and pizzeria where Buzz Lightyear and Woody climbed into the spaceship-shaped claw machine. They found themselves in a sea of three-eyed Green Aliens who revered “The Claw.” And then Sid… oh wait… we can’t have any spoilers. Maybe Yesterland has three readers who haven’t seen the film yet. 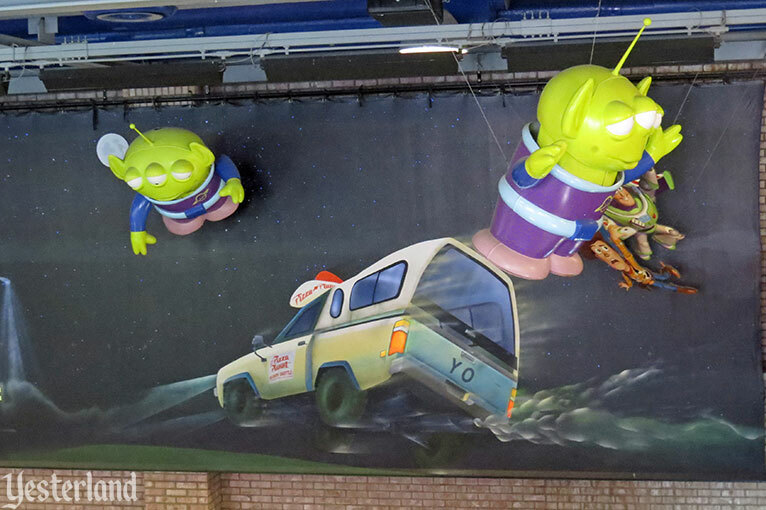 Welcome to Pizza Planet at Yester Studios Theme Park. 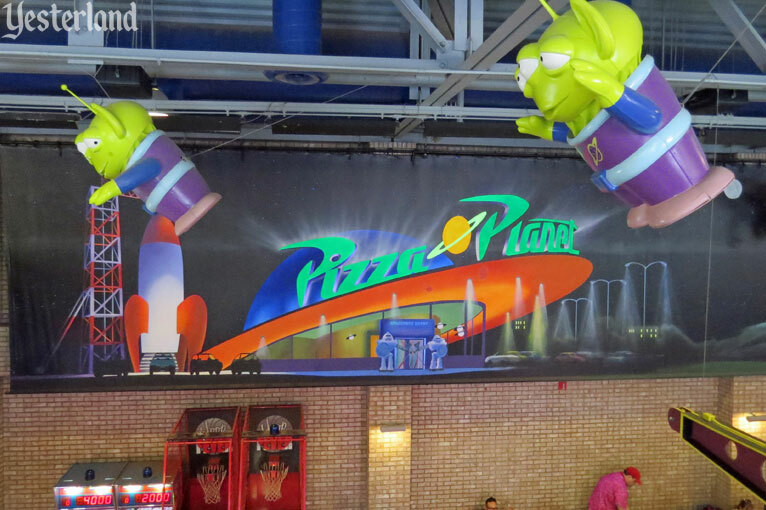 Okay, to tell the truth, it doesn’t look much like Pizza Planet in the movie—outside or inside. It looks like the Metropolitan Department of Water and Power and Philo’s Fish Co. 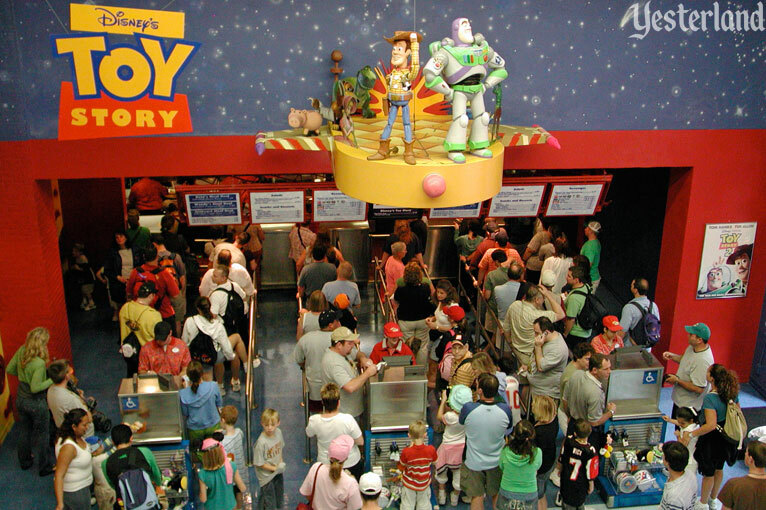 But it has arcade machines and a food counter—sort of like those in the movie. 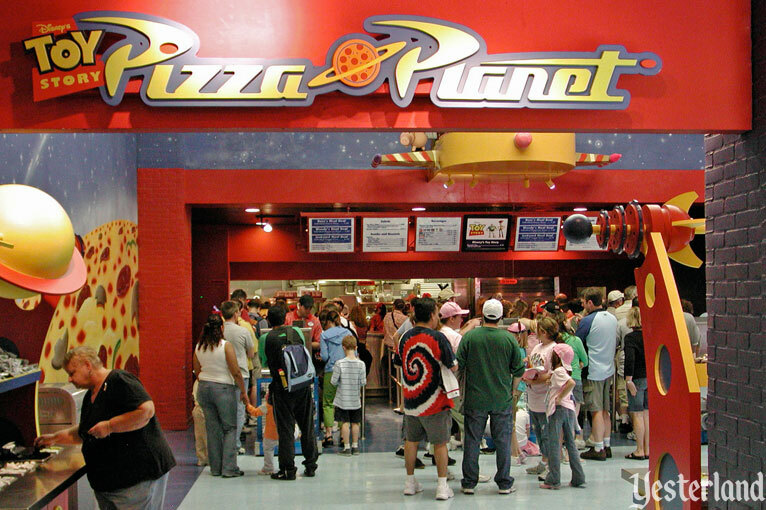 With a name like Pizza Planet, it’s not surprising that pizza is the star here. There are just three pizza choices, and they’re all individual-sized— cheese, pepperoni, or veggie (mushrooms, peppers, onions, and tomatoes). 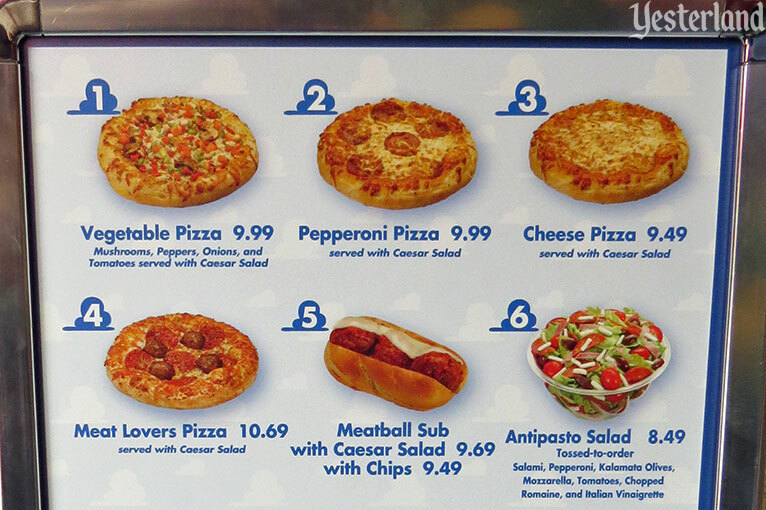 If you want a garden salad as a side with one of these pizzas, ask for Buzz’s Meal Deal, Woody’s Meal Deal, or the Junkyard Meal Deal, respectively. You’ll save around 19 cents compared to ordering a pizza and a salad separately. There’s also the Toy Story Salad with kalamata olives, pepperoncini, feta cheese, onions, tomatoes with balsamic vinaigrette. 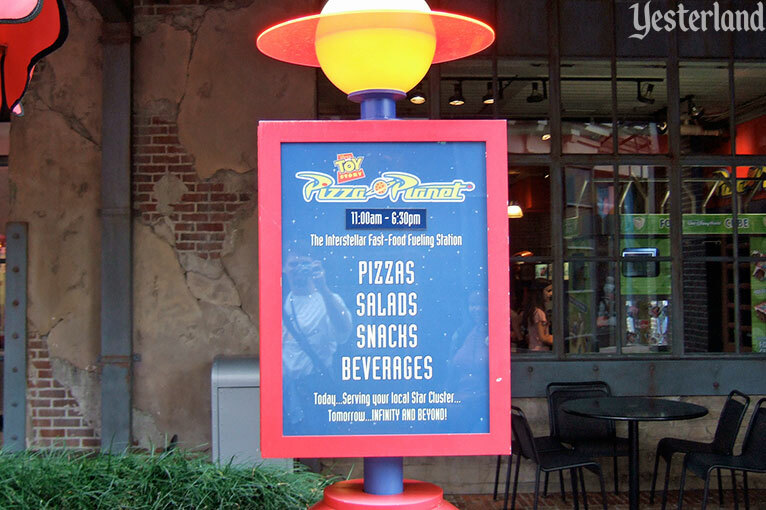 Next time you visit, your choices might include a Pizza Planet Chicken Salad (mixed greens, grilled chicken breast, cantaloupe, cucumber, red onion, tomato, green peas, fresh basil and balsamic vinaigrette) or a Caprese Salad (chopped Romaine, red and yellow grape tomatoes, mozzarella, kalamata olives, cucumber, fresh basil, and balsamic vinaigrette). For dessert, you can order a cookie—chocolate chip, sugar, or oatmeal raisin cookie—or a Mickey’s Crisped Rice Treat. Don’t expect the best pizza you ever ate. This is theme park food. There’s inside seating on two floors. 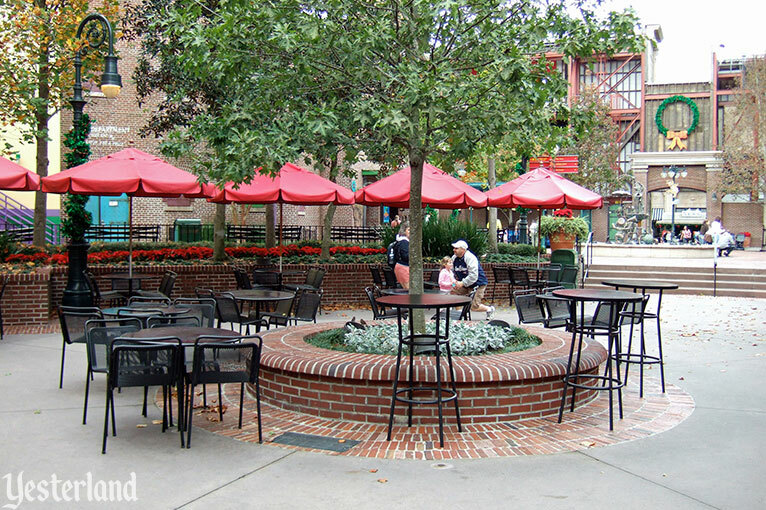 If it’s a nice day—or you prefer heat and humidity over arcade noise—take your food to the outdoor seating. 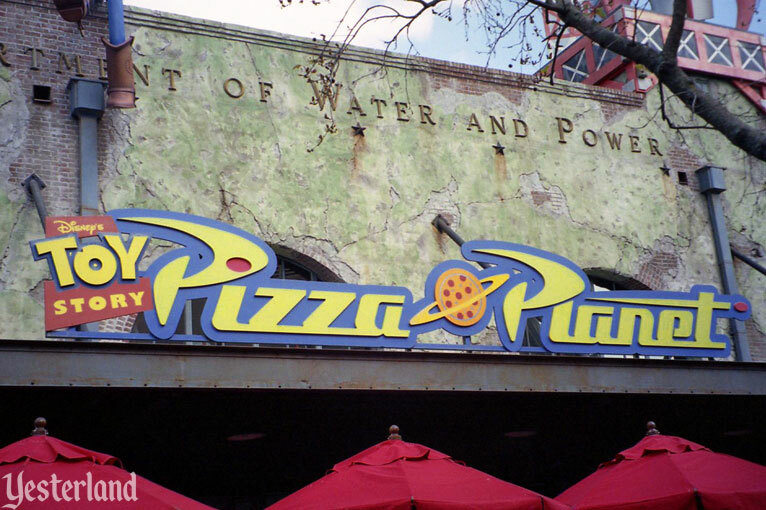 Pizza Planet opened at Disney-MGM Studios Theme Park (now Disney’s Hollywood Studios) on December 15, 1995—slightly more than three weeks after the release of Toy Story, the groundbreaking animated feature that launched Disney-Pixar. 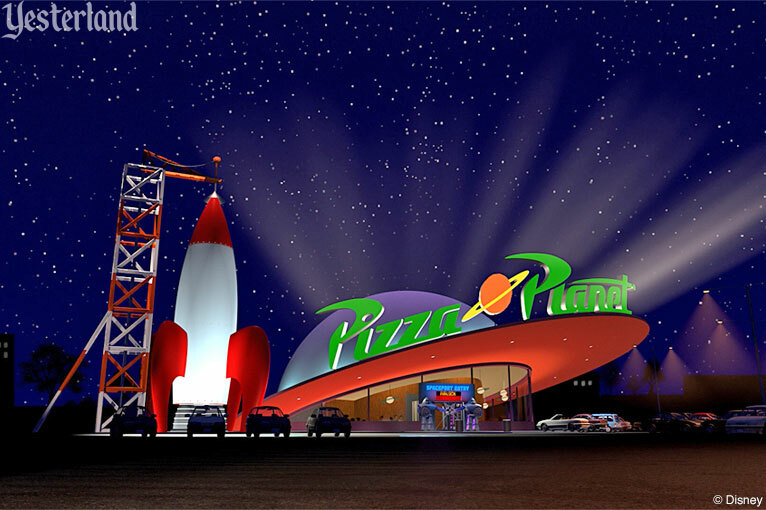 In the movie, Pizza Planet is a sleek, googie-style structure. 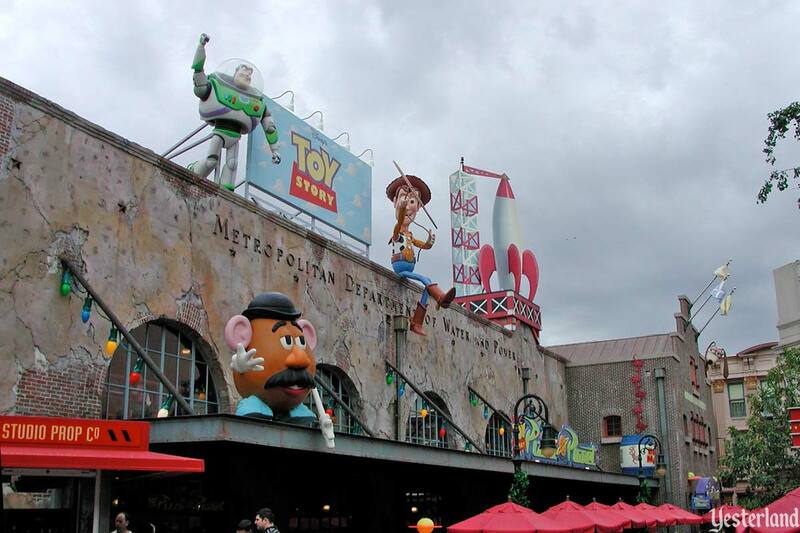 The theme park version bore no resemblance to its cinematic counterpart, beyond mimicking the signage. 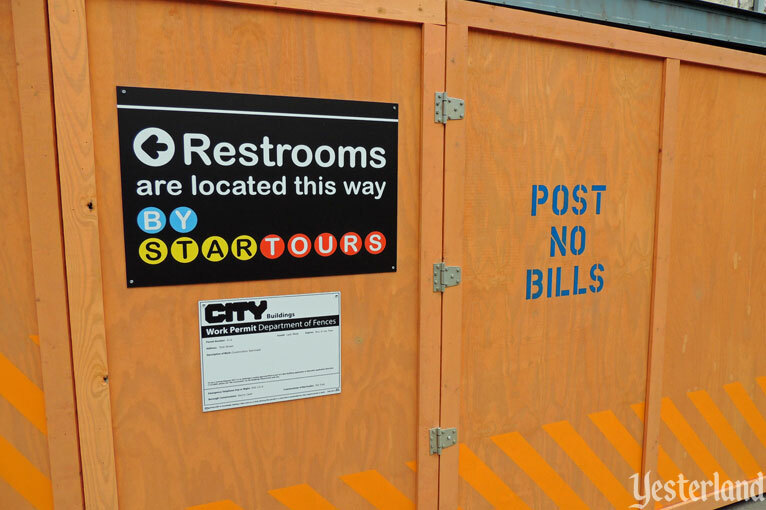 That’s because it was a quick overlay to an existing structure built around the same time as the nearby attraction, Muppet*Vision 3D (1991). 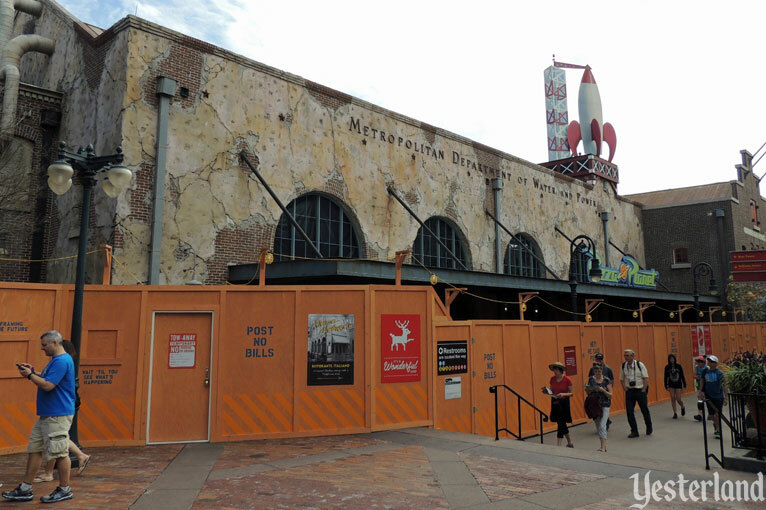 Originally, the whole area was supposed to be Muppet Studios, including two Muppet-themed restaurants. Although Disney never announced details officially, the future Pizza Planet space was reportedly going to be themed to the Swedish Chef—complete with the Chef giving video cooking lessons in his Swedish-accent gibberish. Jim Henson, the creative genius behind the Muppets, was in the process of selling his company and his creations to The Walt Disney Company when he died on May 16, 1990, at age 53. The deal disintegrated. Muppet*Vision 3D proceeded, but the restaurants did not. 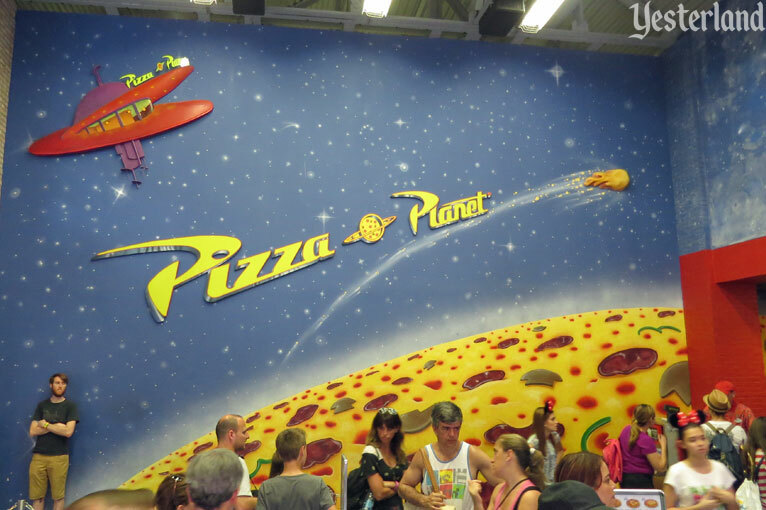 Considering that Pizza Planet began as a quick overlay, it’s amazing that it lasted more than 20 years. In February 2004, The Walt Disney Company acquired the character rights to the Muppets from The Jim Henson Company. Now Disney could finally proceed with Muppet Studios. But nothing changed. Up Interstate-4 at Universal Orlando, two Harry Potter-themed restaurants—The Three Broomsticks (2010) and The Leaky Cauldron (2014)—showed that theme park counter-service restaurants could put guests into detailed settings that immersed them in the fantasy of the movies, with food that lived up to the setting. 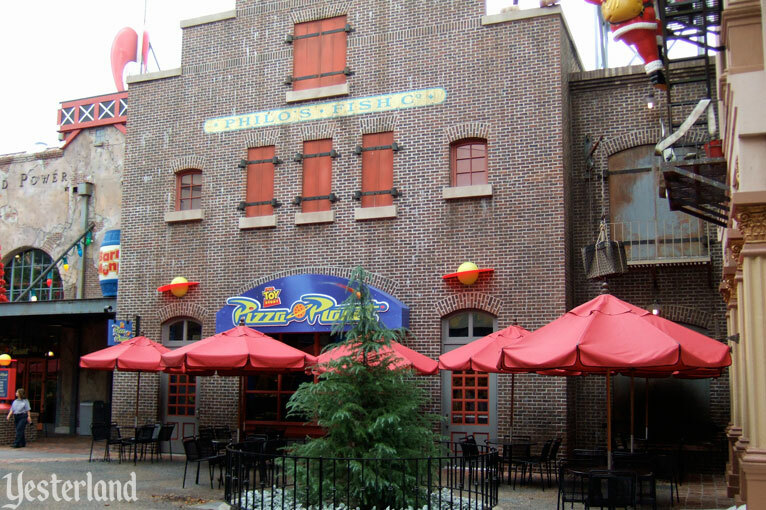 On the other side of the country, the same could be said of Flo’s V8 Café at Disney California Adventure. 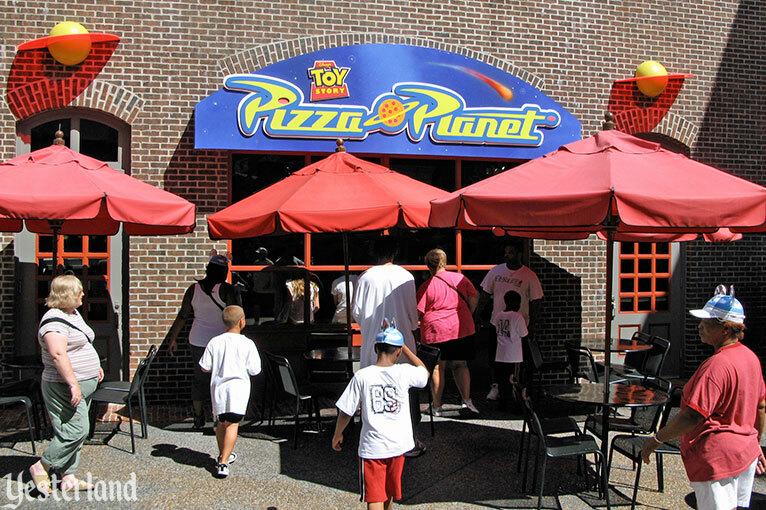 Pizza Planet did not measure up to the newer theme park eateries. 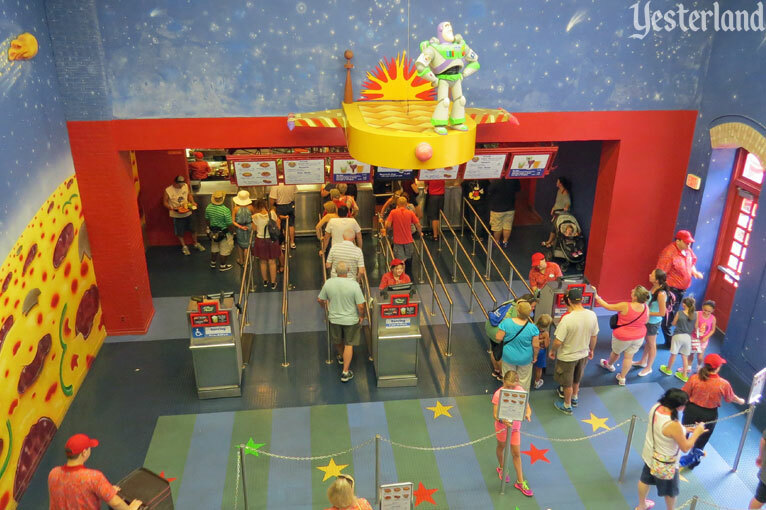 In late 2015, the official Walt Disney World website noted a lengthy refurbishment of Pizza Planet—from January 19 through November 7, 2016. Walls with clever New York City graphics went up around the building. It was clear that this was no ordinary refurbishment. 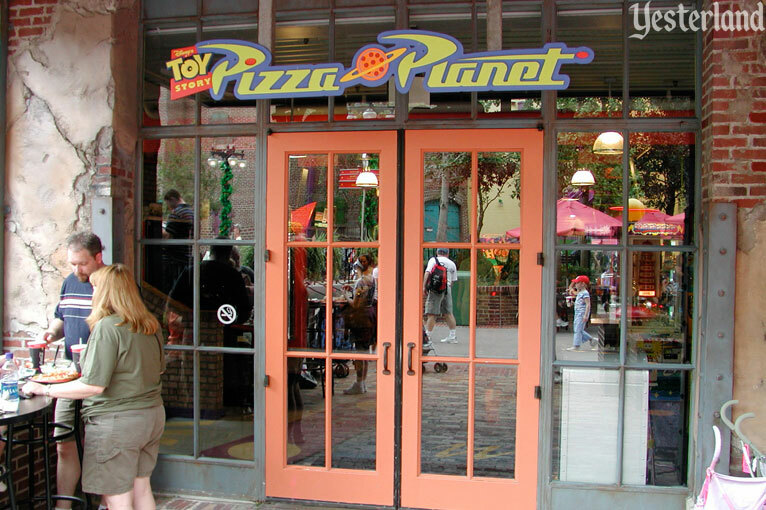 Pizza Planet would never reopen. Internet rumors suggested that the space would become Pizza Rizzo, named after the Muppets’s streetwise rat with the New Jersey accent. Let’s hope the pizza will be better than at Pizza Planet. 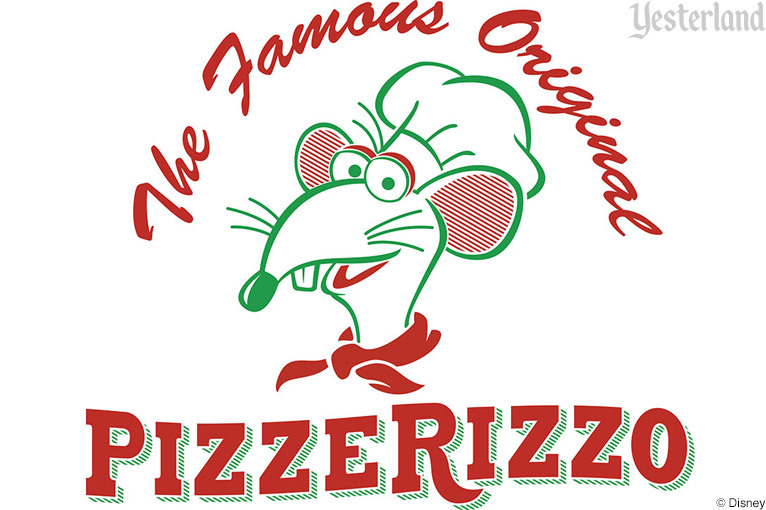 The part of the world that Rizzo the Rat is from—New Jersey and New York—knows how to make great pizza. And it’s probably safe to assume that no actual rats will be working in the kitchen.